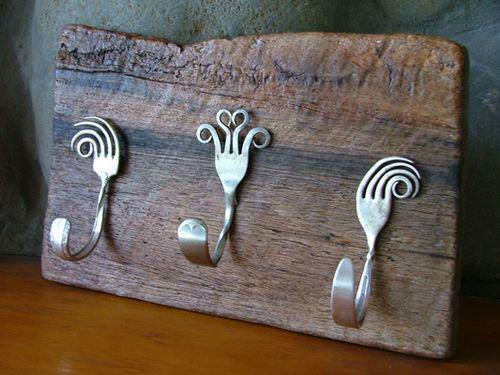 Metal tableware art is a unique way to explore the art of decor while enjoying creative recycling ideas. 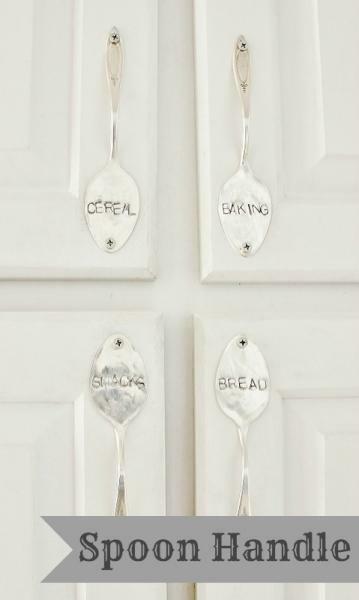 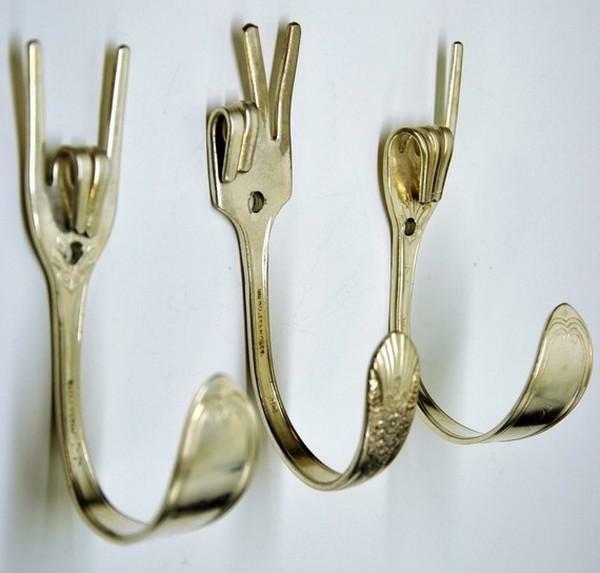 Metal folks and spoons bring amazing texture into home decorating and add a retro look to your rooms, blending familiar shaped with surprising and interesting design ideas. 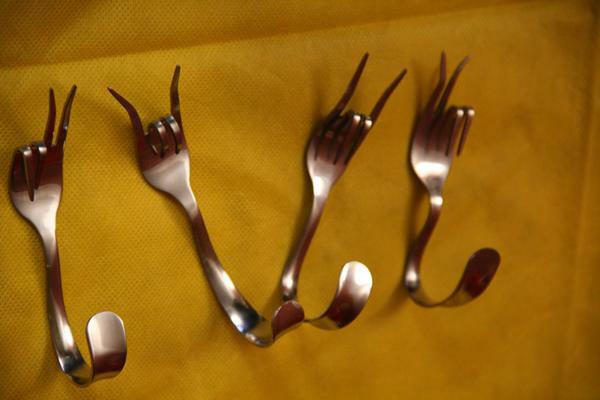 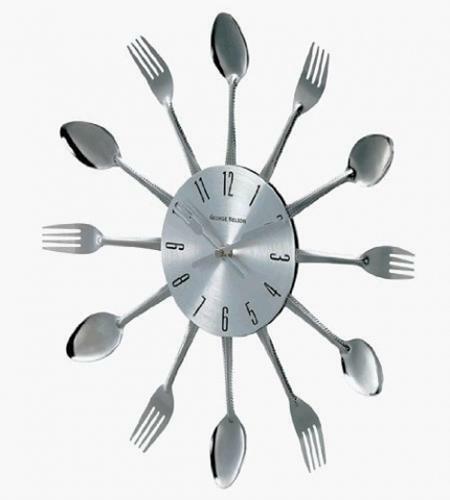 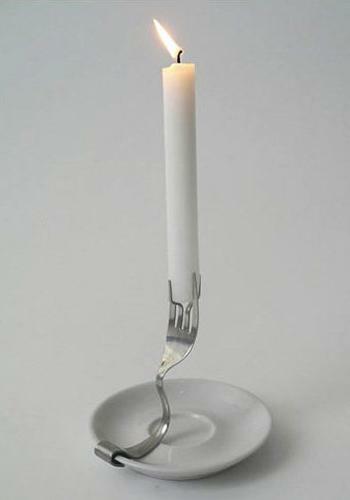 Metal tableware artworks allow to get an idea of the personality of the home owner. 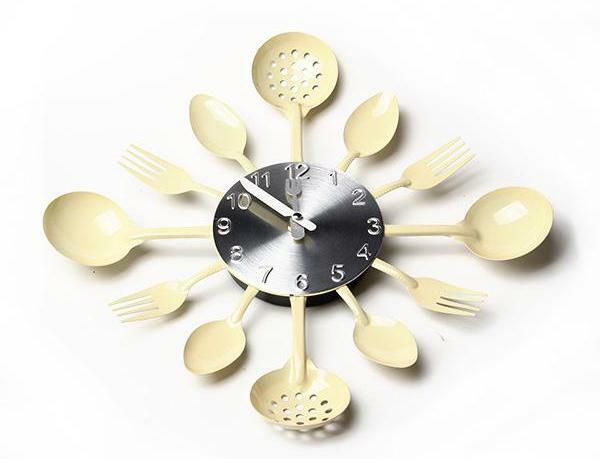 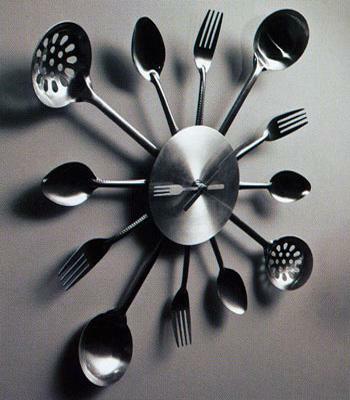 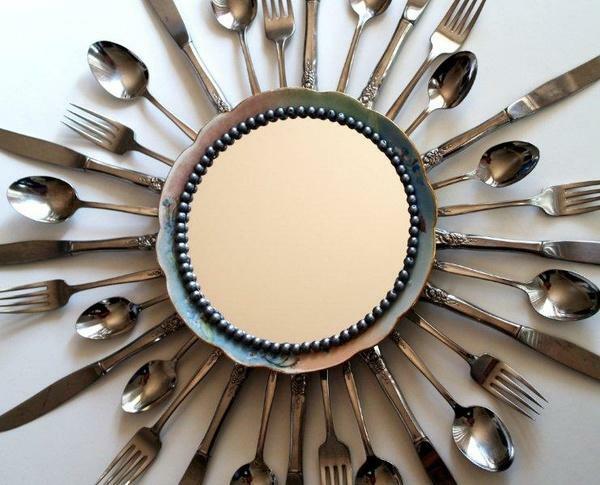 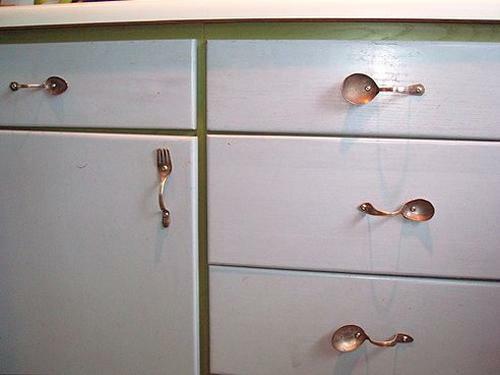 Metal tableware art is very popular among creative and resourceful craftsmen. 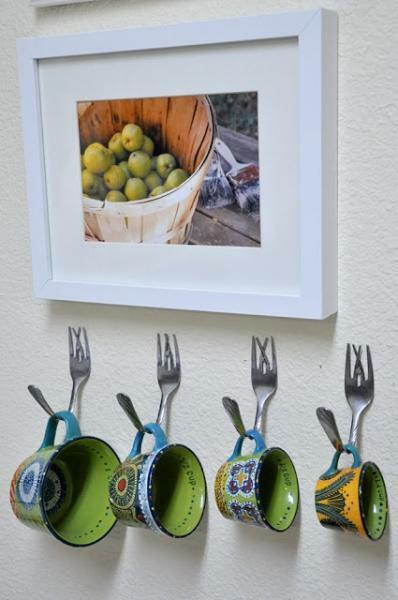 These recycled crafts blend various styles, including abstract, contemporary or vintage style, with innovative, fresh and artistic home decorating ideas. 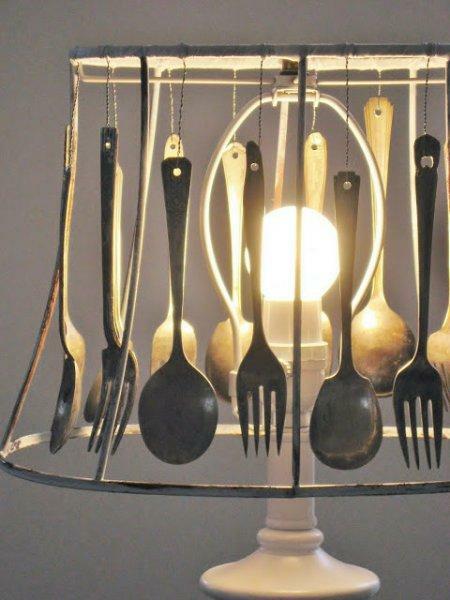 Metal tableware art are illuminating and eco friendly, creating practical and functional household items and home furnishings. 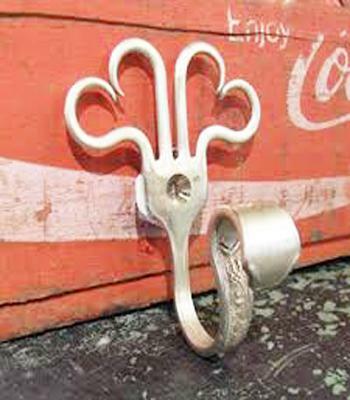 Lushome collected 22 ideas of amazing recycled crafts to inspire creative decorating while adding personality to your homes. 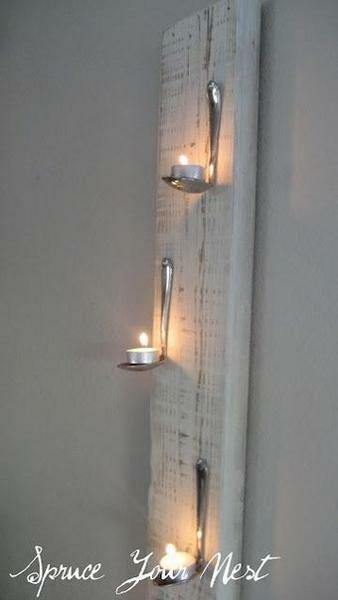 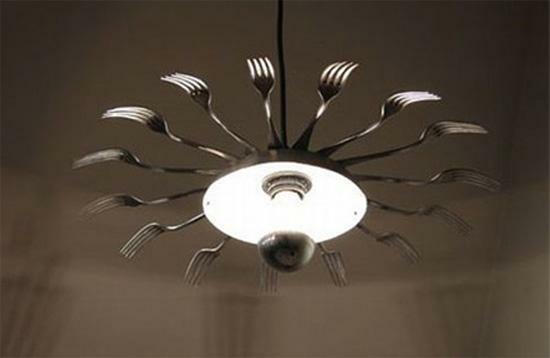 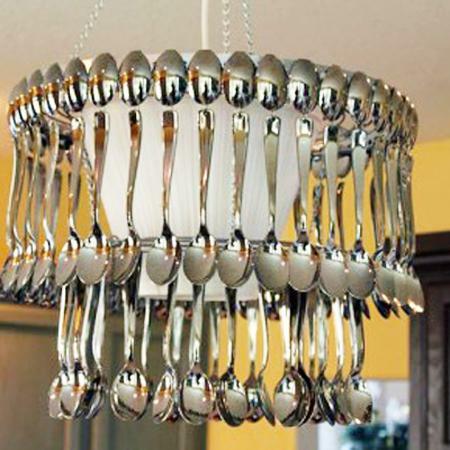 These fantastic ways to reuse and recycle metal tableware for lighting fixtures, cabinet pull handles, hooks, wall clocks, candle holders, art works and home decorations are intriguing and beautiful. 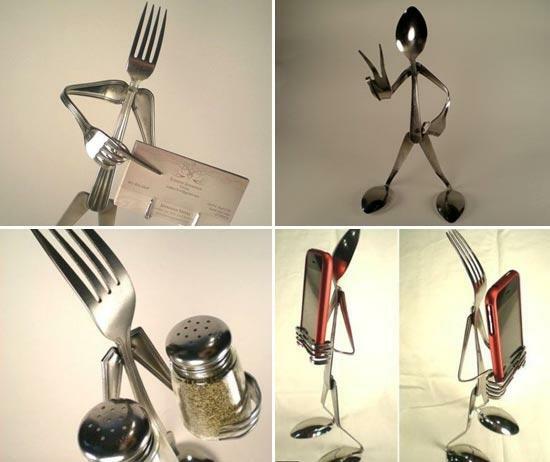 Metal tableware art looks simple and natural, although the artworks, recycling spoons and folks, do not resemble anything in the natural world. 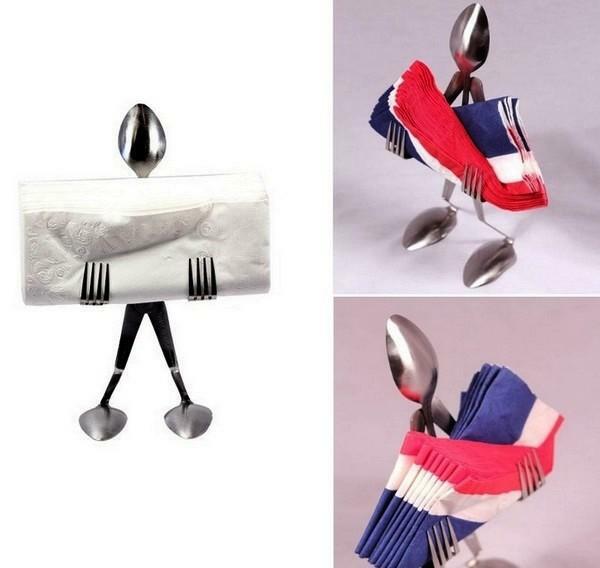 Metal tableware blends the familiar forms and traditional material with contemporary ways of home decorating that reflect modern symbols and images. 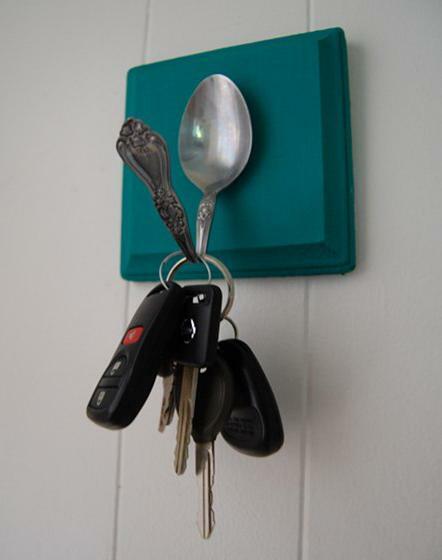 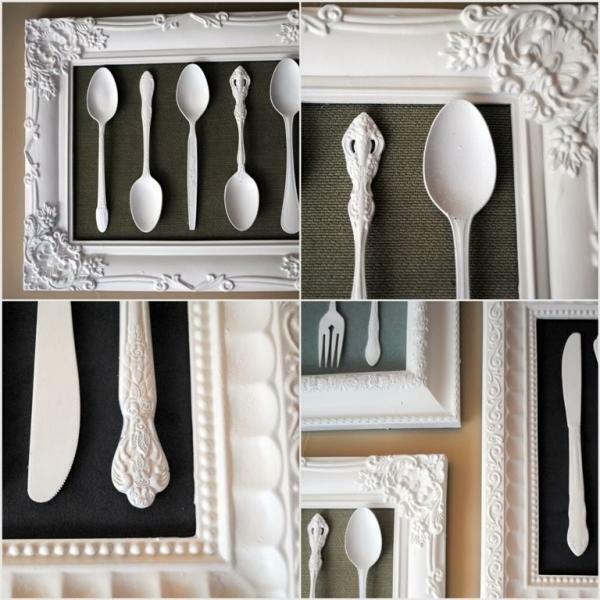 Recycled crafts made with spoons and folks are abstract and powerful, adding one-of-a-kind items to home decorating and bringing contemporary vibe into your living spaces. 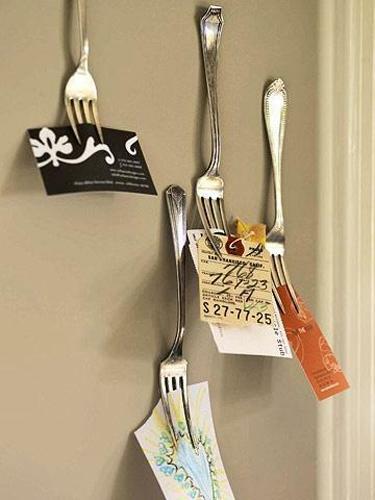 These metal artworks are functional or very decorative, simple or complex, can bring color into your rooms and define the style of your wall decorating. 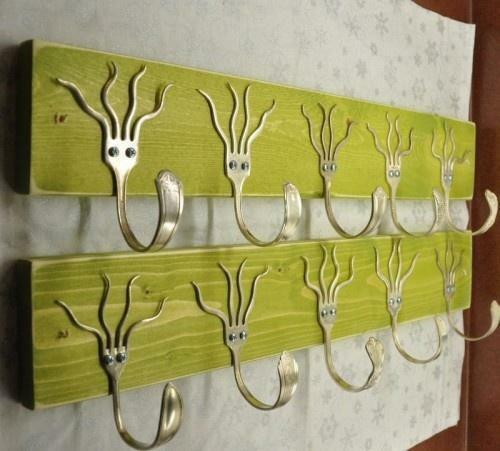 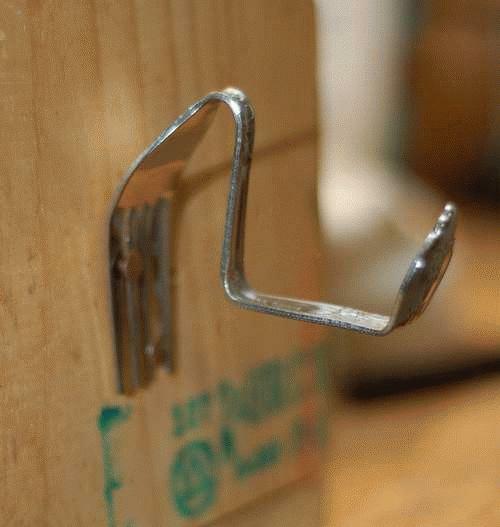 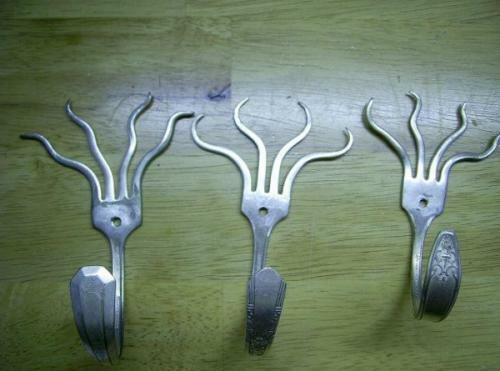 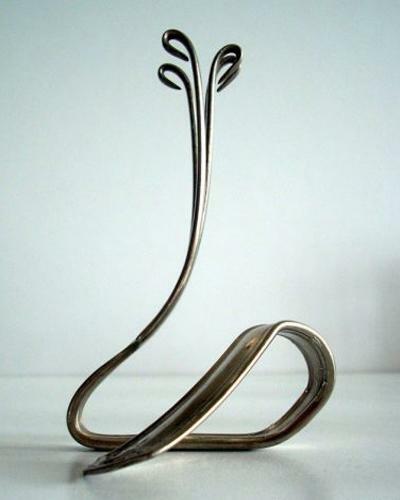 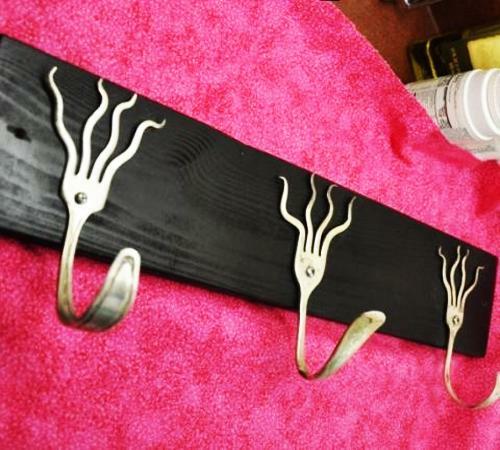 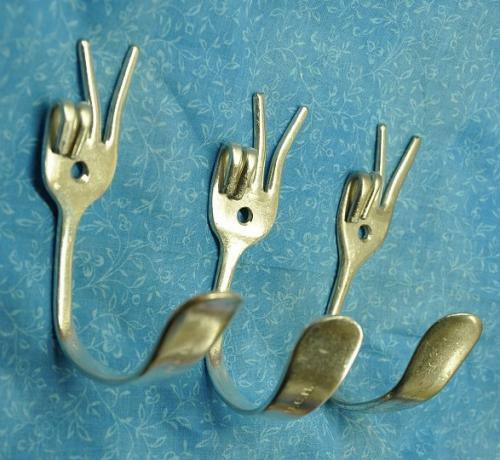 Making a useful hook or a metal sculpture that can work as a napkins or candle holder, can add a fabulous table centerpiece or wall decoration in abstract, contemporary, retro or vintage style to your home. 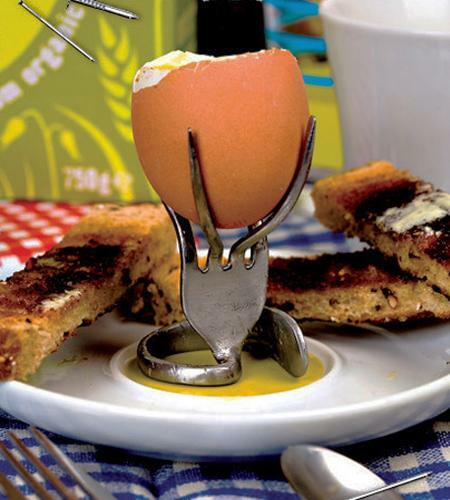 Actual artists and designers experiment with metal tableware items, giving great inspirations for simplified recycled crafts. 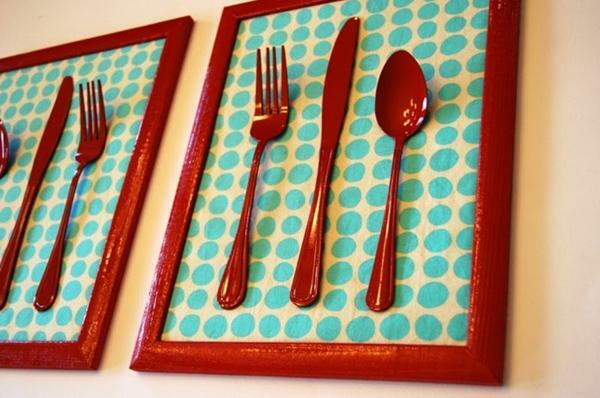 Metal tableware art has the ability to turn an average looking room into a unique interior that pops with pizazz and impress with creative craftsmanship. 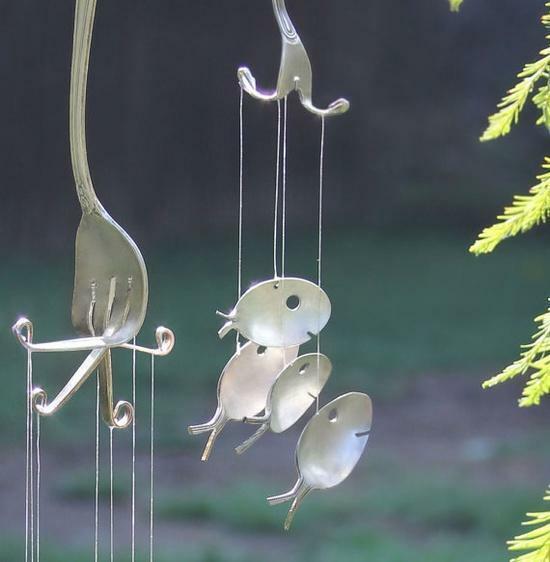 Metal recycled crafts are wonderful ways to declutter your home, add one-of-a-kind accents to your home decorating and help save the environment, resources and clean air on the planet.